This bowl weighs about 3 lbs and is about 15 1/2” in diameter. It is a light adventurine green In color and sparkles when the light hits it. 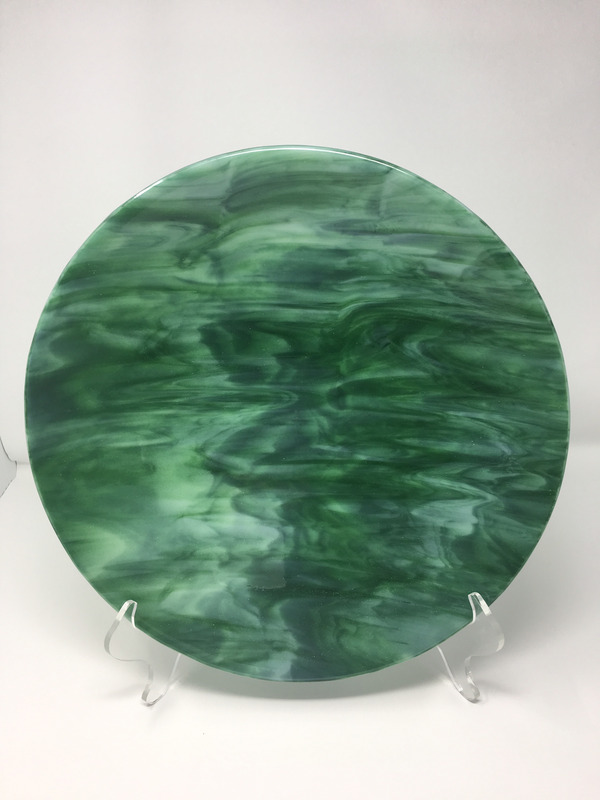 It can be used as a centerpiece on your table with or without a stand or can be displayed upright to show its lovely color. The stand is sold separately. This item is not meant to be used in a dishwasher, microwave or oven.